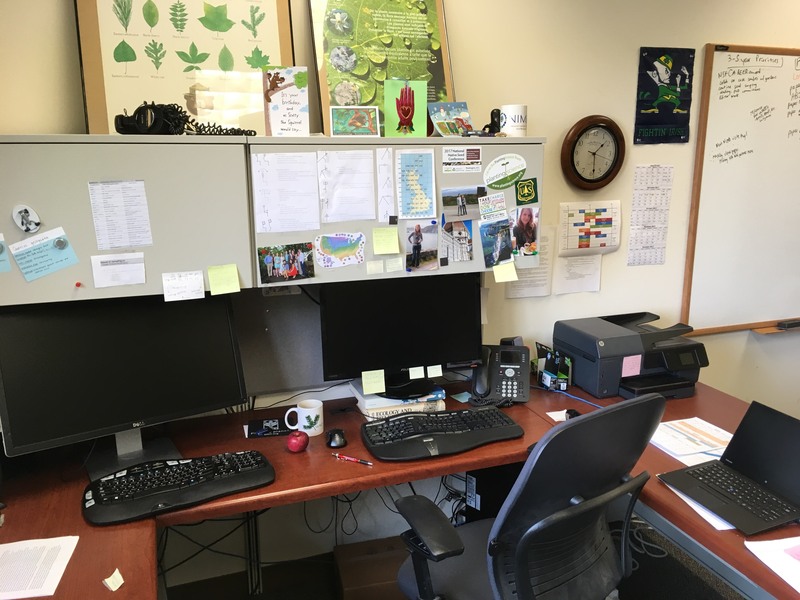 Welcome to “How Molecular Ecologists Work”, the interview series that asks scientists how they get stuff done. 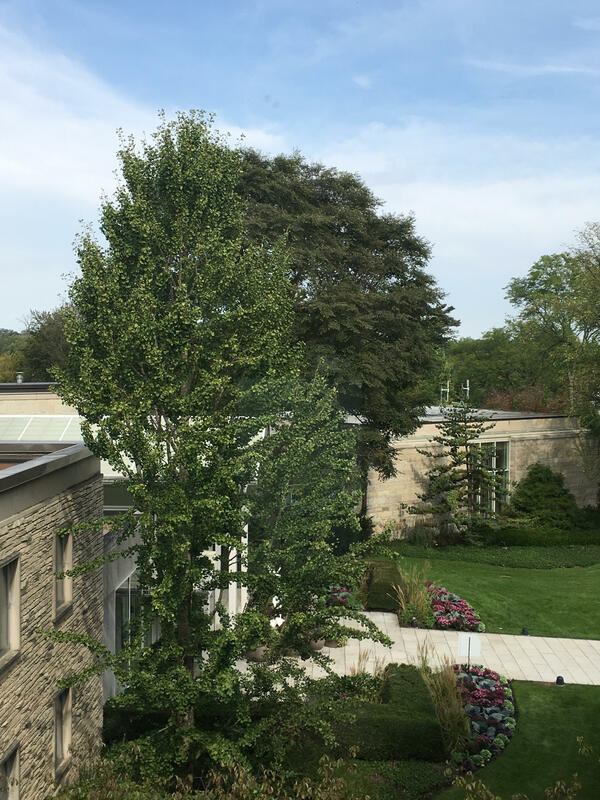 In the final installment of this second season of interviews, we welcome Dr. Sean Hoban from The Morton Arboretum. I like empirical, applied, and theoretical work, so my research program spans three elements. (1) Interpreting genetic data to understand population ecology, in particular contemporary dispersal and mating patterns as well as longer time-scale (Quaternary) changes in species’ distributions. I also investigate the evolutionary impact of disease and fragmentation; adaptation in new environments; and hybridization. (2) Conservation of rare species via planning ex situ seed collections and in situ population prioritization, primarily using genetic data but increasingly using non-genetic data. The goal is to ensure the long term survival of species with effective intervention (such as our current IMLS funded project). (3) Developing and improving statistical methods and software in population genetics and conservation; I particularly like to test methods in situations for which they weren’t designed as well as evaluate sampling strategies. This area of work is crucial because misapplication of methods or misinterpretation of results can lead an entire field in the wrong direction. “Collaborative.” I learned the value of collaboration during two postdocs: one with a highly diverse team spread across 10 countries, and another at a synthesis center where I joined or started several working groups. I have a broad skillset, but I know my limitations and seek collaborators who can complement (no, not compliment, haha) what I can do, critique my work, and balance the overall message of a paper (i.e., keep me off the “soapbox”). Also, “efficient.” I make sure every phone call or meeting has an agenda and good notes, I carefully write emails to ensure that they aren’t confusing, I block my time, I stack errands, etc.– I’m organized and detail oriented, likely to a fault! Planning. It’s the first time in my career that I’ve had to carefully evaluate (and decline) potential projects/collaborations, and it’s hard! One of the biggest changes I noticed in becoming a PI was the transition from individual projects to a unified, directed program. The challenge is to find time to plan, in spite of many daily demands (meetings, mini lab emergencies, supply and equipment issues, troubleshooting, and staff management). Taking one afternoon a week for planning mid and long term is a really good idea. Lastly, don’t sweat the small stuff- as a micro manager I often spend too much time in the weeds, and need to give more reign to others! I try to do everything in R. There are many population genetics and spatial analysis packages (see MER special Issue Population Genomics with R), and R makes subsetting, sorting, and cleaning data very easy. It’s essential that my work be reproducible and documented. I’ve also transitioned mostly to Google Docs for collaborative work- I’ve co-written two grant proposals and manage my lab entirely in Google Docs. I find it easier than Dropbox for large group file-sharing, commenting, and editing. However, its version control/revision is not very useful (IMO), so it’s necessary to save the current state at key points in document writing. Preferably at my workstation due to the large monitors, but I’m traveling often so I work fairly well with a laptop in airports, cafes, train stations, etc. 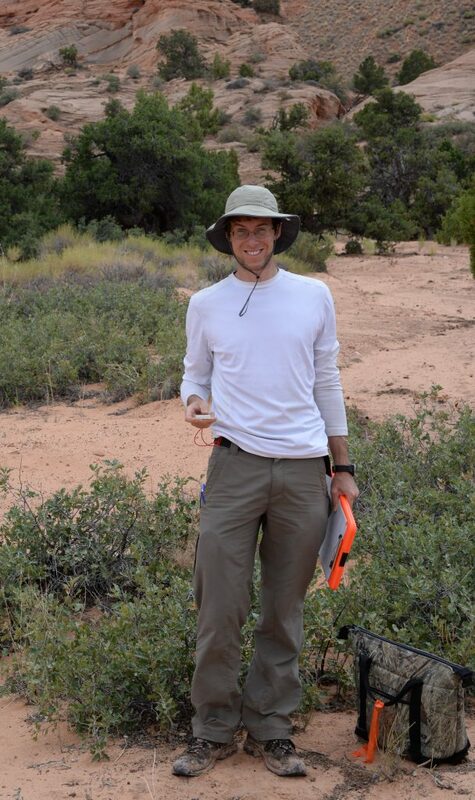 My lab also uses a Trimble GPS unit in the field to collect data. I’m actually not super attached to my phone and feel I benefit from putting it in a drawer or shutting it off for the afternoon. I do appreciate a high quality webcam and headset for skype/google hangouts. I use the same headphones as Brant Faircloth (great headphones- they’ve lasted 10 years). I’m increasingly reliant on espresso machines and my white board. And of course, my bike (a 1990s Cannondale CAAD 4 aluminum classic)- which provides my daily transportation (yes even in Chicago winters! ), relaxation, exercise, and passion. I’m quite evenly split between conference calls, paper writing, grant writing, analysis, committee work, and consulting with my research assistants. An unfortunate amount of time is fractured time due to the many small emergencies that come with managing a new lab, and academic bureaucracy. I wish I had more time to read scientific books- there are great new books coming out (including Improbable Destinies by Losos, The Theory of Ecological Communities by Velland, and Genetic Management by Frankham), but mostly I read articles relevant to ongoing papers and grants. I spend too much time planning travel and organizing meetings, but frequent travel does help collaborations. A travel planner would be nice! I was also surprised at how much time I spend on the phone or skype (4-5 hours/week), but this is highly productive- sometimes phone calls are the best and quickest way to iron out something or get a direct answer- surprising in the age of email! Having a to-do list that is organized by “time it takes to do task X”. Different tasks take different amounts of time, focus, and mental effort. Being aware of when you are at your best to work on task X means you aren’t squandering time. For example, trying to write in small fragments of time or when you are very tired is a bad idea- instead, when you have small blocks of time you should work on tasks that can be completed in that time (emails you’ve procrastinated, budgeting, quick perusal and comments on someone’s draft, checking supply stocks, etc.). Similarly, when you have a big block of time, use it for a big task- writing or long term planning, rather than busy work. Preserve your writing and planning time as sacred – block it out on the calendar if you have to! We’ve got a “best office view” challenger to battle it out with Aaron Shaffer! To-do lists that are updated weekly, digital reminders via Google Calendars, a white board in the office and in lab to keep track of lab deadlines, reagents etc. A big innovation was implementing Google Docs for my research assistants and students. We each keep a daily log/lab notebook on our shared Google Drive so everyone knows the status of each person’s projects, we can comment and add suggestions, and we can know when someone is having trouble (i.e., a lab reagent isn’t working). These lab notebooks are summarized every few weeks into a “benchmarks” document- this really helps see how quickly we are we are making progress. Classical music on WKAR, almost exclusively (thanks MSU!). I really like classical for writing and coding. For variety, I’ll switch to KDFC or WUOL (also classical). WDCB jazz can also be quite good. I used to keep up on the latest music, and DJ’d a radio show for four years in grad school (WNDU), but I’ve gotten out of touch! Cycling and cooking (I used to keep a cooking blog)- every day. Both keep me healthy, give my mind time to recharge, relax, and wander. They also require mental and physical skill and give some satisfaction in terms of constant improvement and innovation. More recently, I’ve tried yoga and a bit of rock climbing. Journal articles or books? Journal articles: Barnosky et al 2017, Anderson 2016, McGill et al 2015. Books: I recently read “The Lightless Sky” and “The Forest Unseen”, as well as “Cheap”- I try to spend at least three nights a week reading for 20 minutes or so. Next I’d like to pick up “Darwin’s Backyard“. Typically midnight to 630. The experts say to keep a routine, including on weekends, and when possible I take that advice. I’d also like to answer the un-asked question, “How many hours do you work in a week?” which is something most scientists struggle with. Weekdays I work 8:15 to 5:15 plus about 2 hours in the evening, and weekends I usually work 8 to 10 hours total, so 65 hours a week average- a bit more when a grant deadline looms. I’d love to bring that down to 50-55 someday! (1) Be the collaborator you’d like someone to be to you. That means being courteous, following up with thank yous to people who helped in the field, responding to emails as soon as you can (even if the email says “I’m too busy- will reply next week”), and much more. (2) Treat your Assistant Professor position like an extended postdoc. Enjoy it and innovate. There is a huge amount of pressure to prove yourself and get grants, etc., but it’s also time to explore, take risks, appreciate the freedom you now have to go in new directions. (3) Be human- remember there is a big world out there and devote some time to completely non-science activities like volunteering, social justice, urban farming- we all need non-science, fulfilling passions. (5) Check email only a couple times a day at set times- really! Thanks Sean! 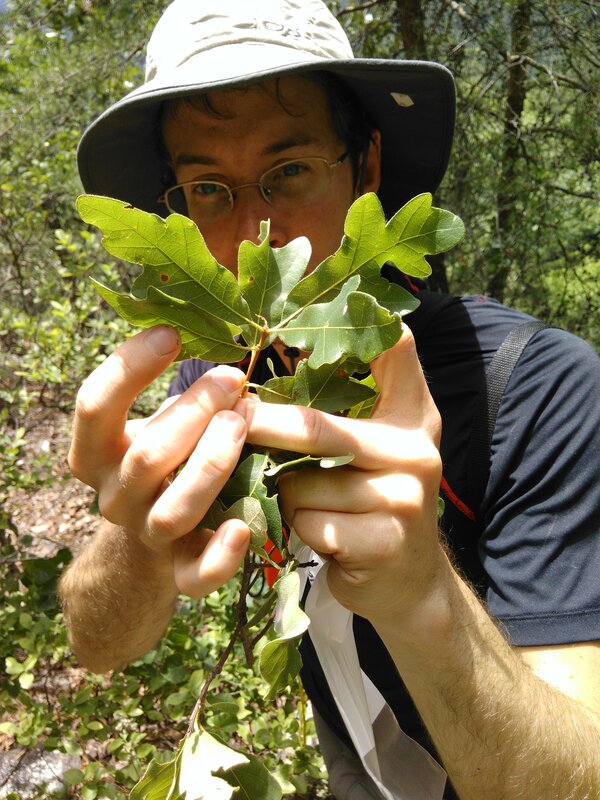 By the way, Dr. Hoban is currently seeking undergraduate applicants for a paid, summer research fellowship at The Morton Arboretum; if you or someone you know is interested in Sean’s areas of work, please contact him! Finally, I extend my most sincere thanks to all of the interviewees for their precious time. We continue to receive notes from readers about how much they enjoy reading these perspectives. Do you have a suggestion for someone to interview in the future? Please contact me (<robert.d.denton<@>gmail.com>)!